It’s only been a touch over 24 hours, but thousands have no doubt purchased Sonic 4 for Apple’s mobile devices. The game, as of the time of this article’s publication, already sits sixteenth on the top trending paid Apps list. At a $10 price point, it stands at #2 in the Top Grossing category. Only a fraction of those thousands said their piece on the game in Apple’s store, but those who did for the most part had good things to say. Overall, ratings by more than 150 and more than 100 written short blurbs have yielded a four star rating, out of a possible five stars. At times, App Store reviewers can be more brutal than Sonic fandom. We found a few quick reviews that docked points for, among other things, the lack of Retina Display support for later Apple models, a lack of Game Center support for leaderboard, and the color of Sonic himself (and not necessarily his green eyes, either.) Other comments were more constructive, longing for a true port from the pending console versions. But a barrage of five star ratings this far evens out those who bitter. 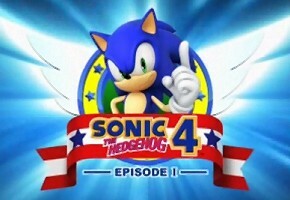 Our review of the mobile port for Sonic the Hedgehog 4: Episode I will follow in the coming days. And today begins the New York Comic Con, with Sega in tow–so we’ll shoot for some postgame questions and analysis direct from them.